Okay, perhaps no one will ever truly love doing laundry. But with custom laundry cabinets built to your wants and needs, you can finally feel like your laundry room is an oasis instead of an eyesore—a treat instead of a chore. Don’t believe us? 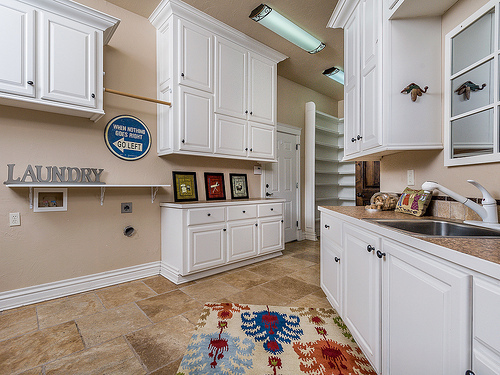 Just check out these three ways custom laundry cabinets can improve your laundry experience. Custom laundry cabinets Custom Cabinets Keep Your Floors Clutter-Free! 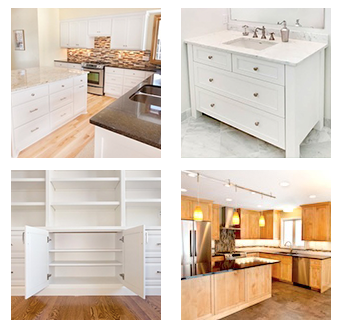 Custom cabinets from an experienced cabinet design and build company can help you keep your floors clear, folding space free of clutter and cleaning items right where you want them. The cleaner (and brighter) your laundry room is, the more welcoming the room will feel – and the more you’ll want to be in it. I know what you’re thinking. What about all the dirty clothes? How can custom cabinets help with that mess? You can actually custom design cabinets to help you with sorting, folding and organizing. This is especially helpful for families who also use their laundry room for storing seasonal clothing items. Whether you are concerned about children, animals or a hoarding tendency, you can work with a designer to properly lay out your laundry room. The right layout will allow you to easily reach items you use on a daily basis while also having clear hiding spaces for items you don’t need as often. Living in Minnesota means we cannot get that perfect line-dry scent for our clothes throughout the year. But, with the help of a custom cabinet maker, you can create a perfect built-in clothesline for use year-round. And you can bring in some of the outdoor results when using a drying rack inside, according to the August issue of Real Simple Magazine. Just set a fan to lightly blow on your clothes in the winter time to recreate the effects of a light breeze. What Do You Think? Can Custom Cabinets Make Laundry Easier to Handle? Have we convinced you yet? Or, if you have custom cabinets in your laundry room, have you found these three items above to be true? Are there other benefits to custom laundry cabinets that we haven’t mentioned here? Share your thoughts in the comments section here or give us a quick call at 952-737-7088.